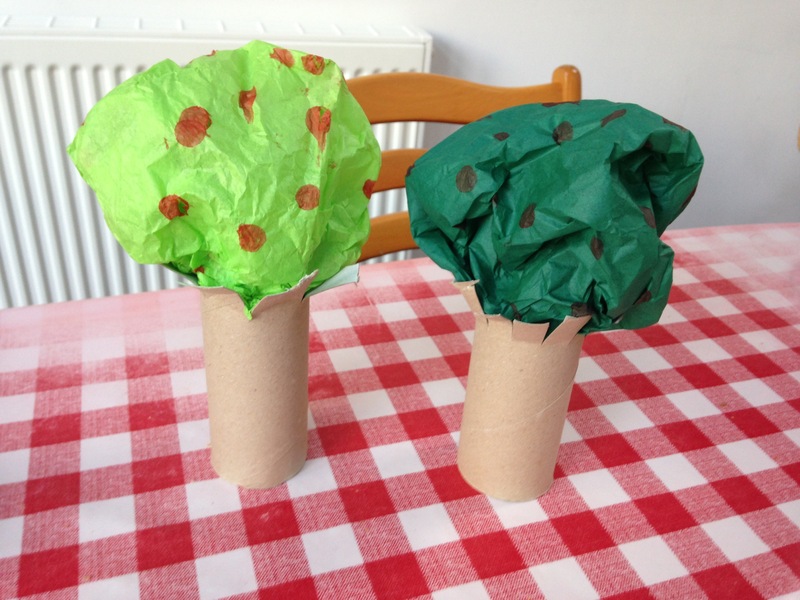 One of my favourite things to do with my kids is theme based play activities. Recently our neighbours tree has been dropping lots of apples into our garden so this last week we had apple week. Usually I only have time to do theme days, but we had some extra time this week so we were able to spread stuff out and do a bit more. 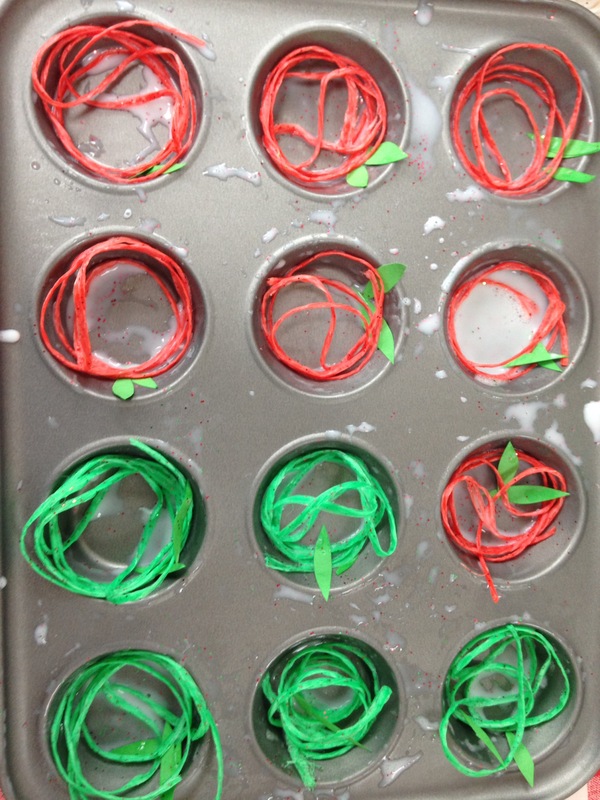 On Monday we picked all the green and red balls out of the ball pool and put them into baskets to be our apples. 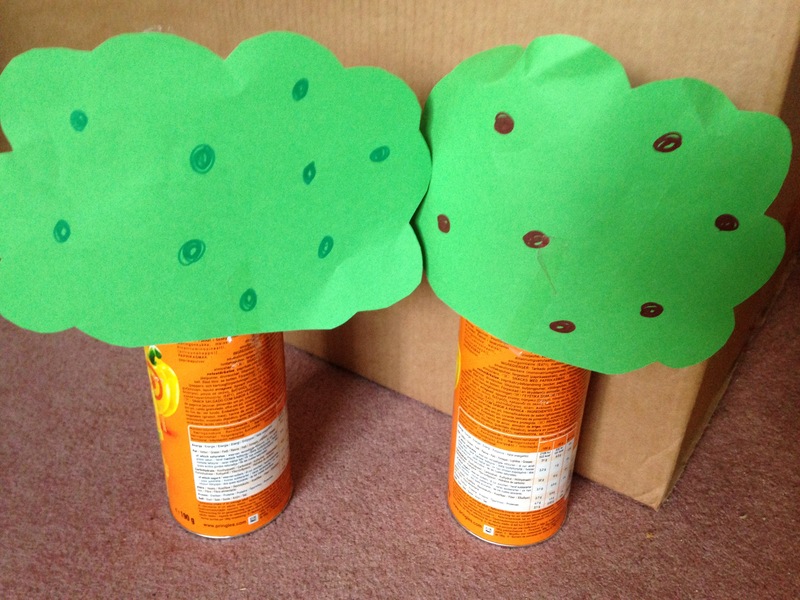 Then we sorted them in our hastily made Pringle can apple trees – one red, one green. The balls made a great noise as they dropped into the pringles can, and so this activity lasted a good long while! Then we made apple pie with our ‘apples’ and put it in the toy kitchen to cook. 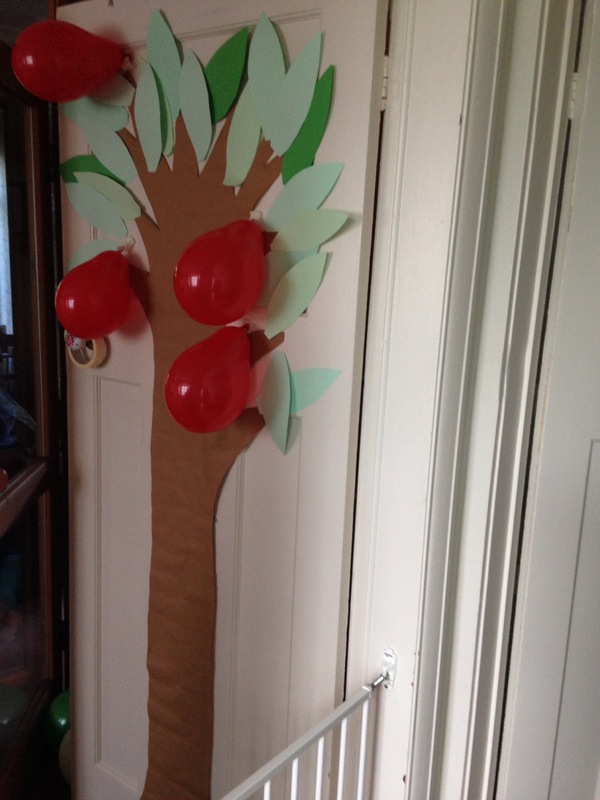 Bobcat wanted to pick apples, and we had loads of balloons a neighbour had given us so I used brown paper and scrap bits of leaves to make a big tree. 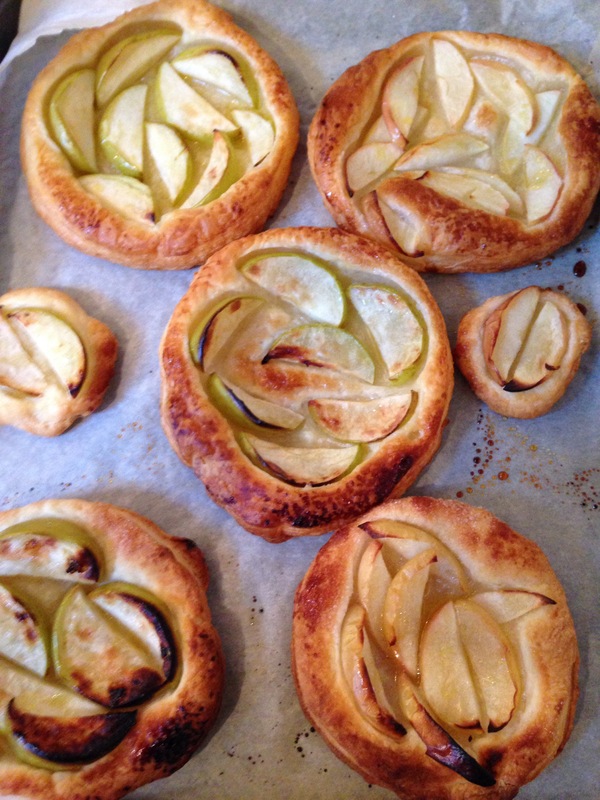 On Tuesday we made mini Apple tarts using a recipe from Growing family. I liked this recipe as it really allowed Bobcat to get involved in the process and actually help make something yummy. 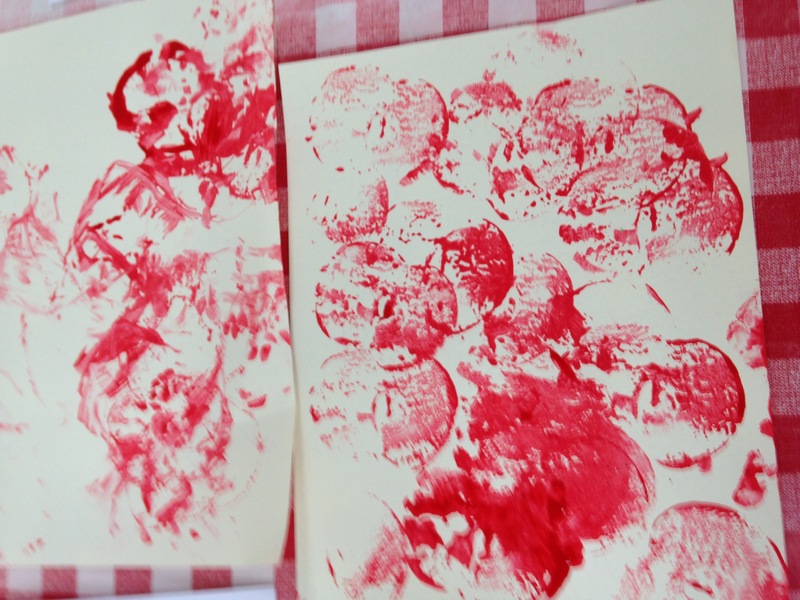 I had put a large roll of paper under the tissue paper to stop the bingo dabbers marking the table and it turned out that the paper came out looking quite interesting too. So, we decided to turn it into a poster. 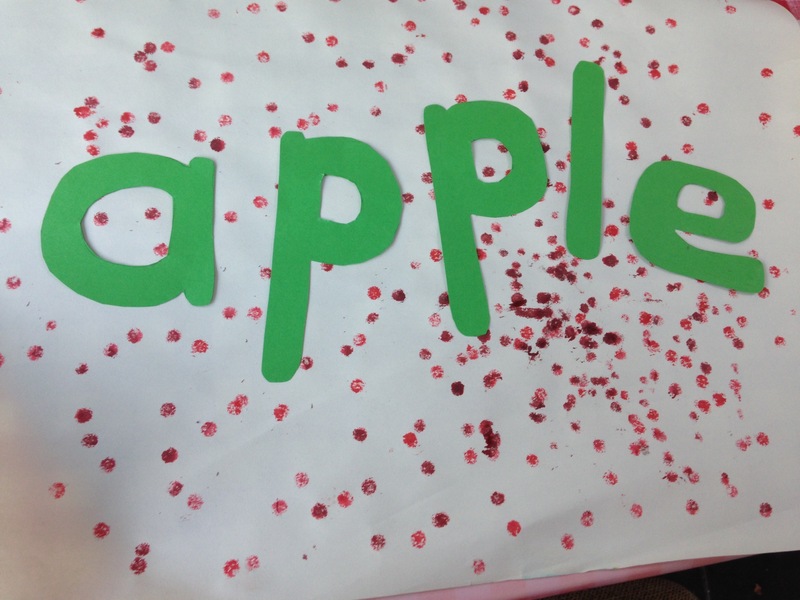 I cut out the different letters of the word apple and this turned out to be a good opportunity to talk about the different letters and the sounds they make. 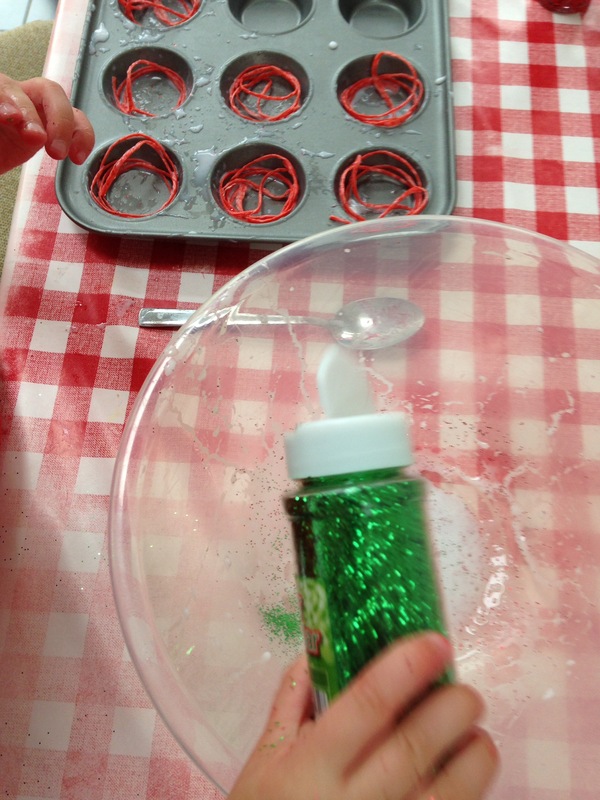 On Friday we decided to go all out messy with paint, glitter, glue and Apple dough! We started by doing some classic Apple painting. Bobcat doesn’t usually like getting his hands messy so I wasn’t sure how this would go down, but for the first time he really got into painting and ended up with red paint all over his hands. Little Monkey just kept trying to eat the apples, resulting in it looking like she was having her first attempt at applying lipstick! 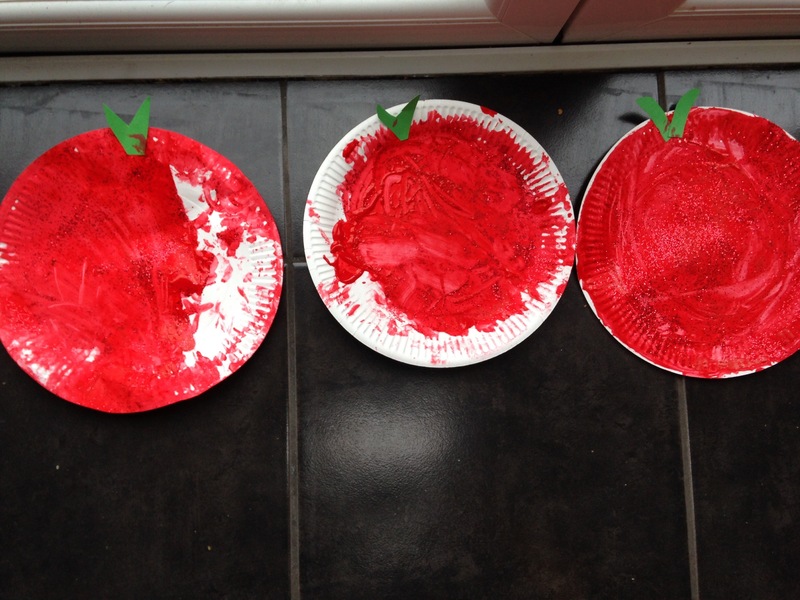 The eating of the painting apples meant that we quite quickly moved onto paper plate apples like those by Pinksneakerzhomeschool. Next we had a go at the yarn apples from Hands on as we grow. Bobcat went back to his dislike of getting messy hands, but loved adding glitter, and insisted we do green apples as well as red! We’ve hung these up in our playroom and they look great! After the messiness of the morning we stopped for an apple based lunch. 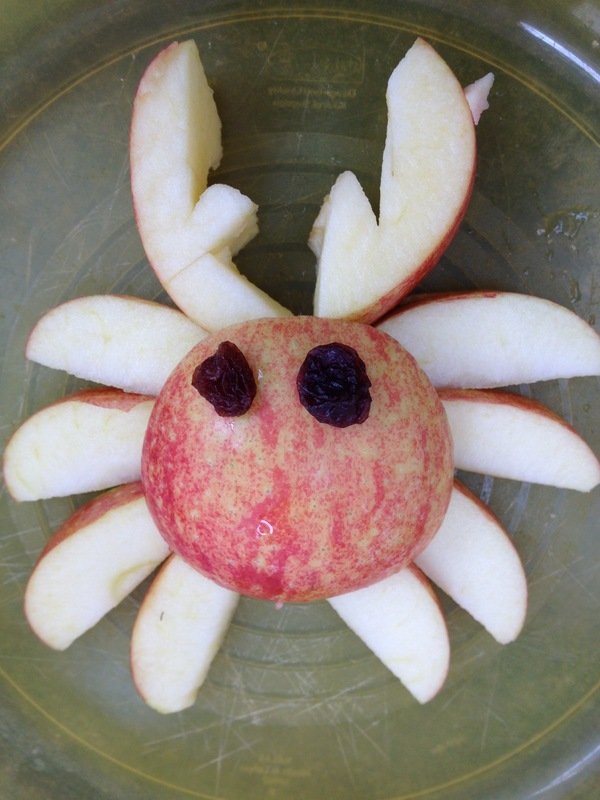 I attempted to make an apple crab, though this confused Bobcat somewhat and he took some convincing to eat it! 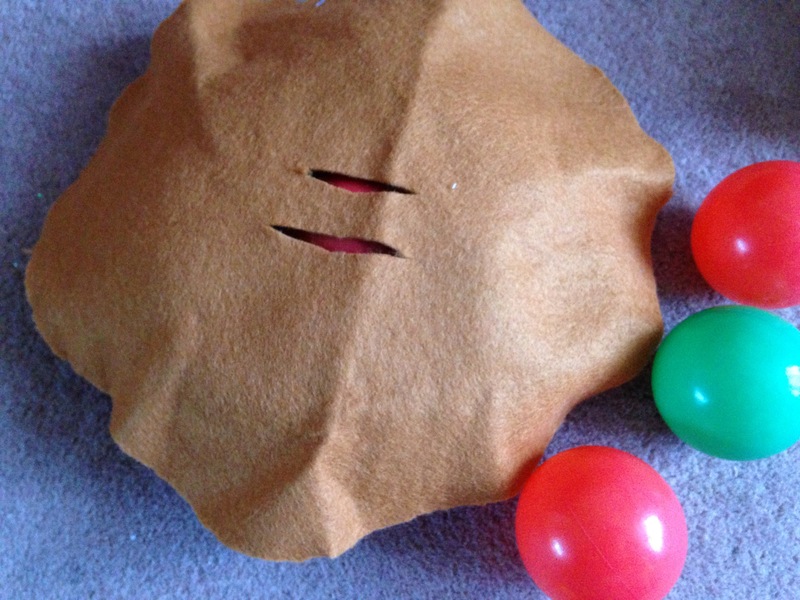 Then after nap time I adapted Laughing kids learns fairy playdough recipe to make Apple dough. 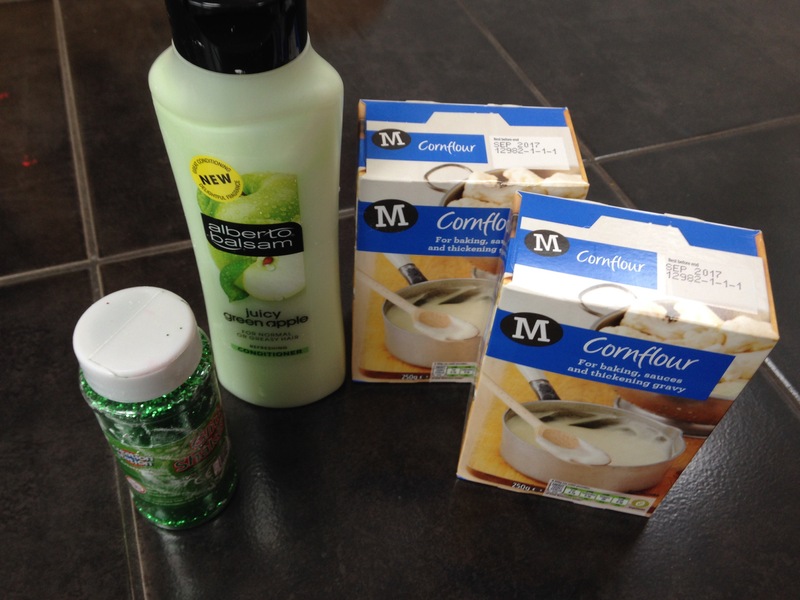 We mixed 2 boxes of cornflour and one bottle of apple scented conditioner in a bowl, and added lots of green glitter. (If I did it again I would also add some green liquid watercolour). 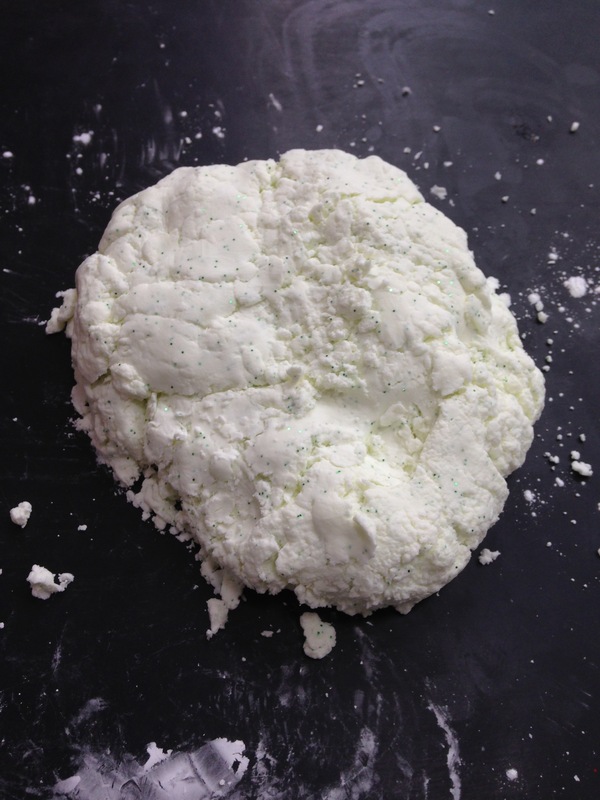 It was really interesting feeling the texture change as we added more of each ingredient. Once we got a consistency we liked we rolled the dough into little Apple balls and tried out our new smiley face cookie cutter. We had lots of fun playing with the dough, but it had to go away once little monkey woke from her nap as it’s not taste safe and she likes to taste everything at the moment! But I’ve put it away in the hope it will last for another day. We enjoyed our apple week and Bobcat seems to have got the idea that apples fall off trees which is good! What theme should we do next week? -Pinterest here I come!